Behind-the-scenes. 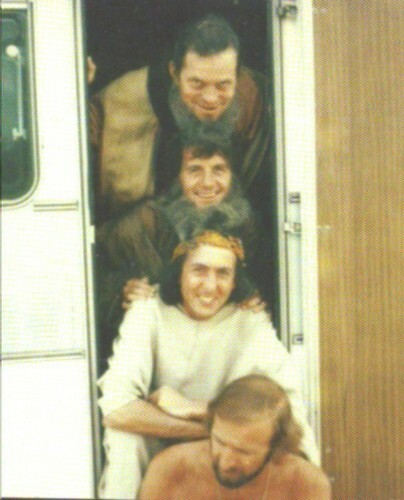 Behind the scenes of Life of Brian. . Wallpaper and background images in the Monty Python club tagged: monty python life of brian graham chapman terry gilliam michael palin eric idle behind the scenes. This Monty Python photo might contain street, city scene, urban setting, and carriageway.